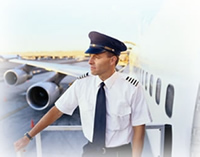 CREW Tagz luggage tags are great gifts for airline personnel, including pilots, flight attendants and cruise ship crew. The personalized, engraved bag tags are sure to please. Priced from $8.99.